Do not steal your success by telling yourself you aren’t good enough. Do not steal from others by only thinking about yourself. Do not steal from the earth by supporting misuse of it. Do not steal from God by not giving him credit where it is due. Do not steal from your future by dwelling on the past. Do not steal precious time by forgetting to be in the moment. Let this be the year you go after courage. But what does it mean to HAVE courage. As I began thinking about it, the times I can reflect back on ‘having’ courage were times I felt the least courageous. Courage often comes at times when you feel low, insecure, or afraid. So for me, I don’t always remember the courageousness of my actions, but the fear that caused them in the first place. That’s a mindset I know I’d like to change. Having (taking/using/being of) courage is an action. When you’re fearful, you have a choice to slink away or a choice to be courageous. Saying what you’re really thinking is courageous. Standing up for yourself is courageous. Asking for help is courageous. Being a light for others is courageous. In the midst of my husband job searching, both in our state and out, I find myself being courageous by waiting. I’m a doer; waiting for God’s plan is incredibly hard. I also find myself showing courage as I take time to work on my weaknesses and value my own strengths. 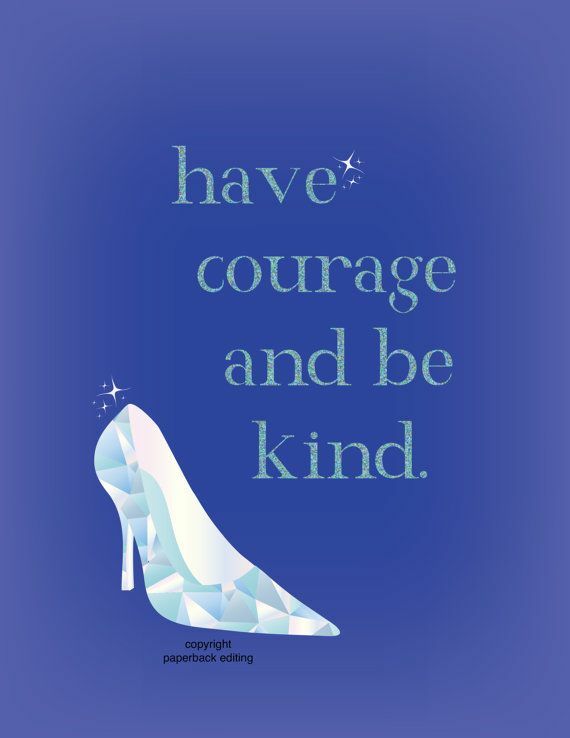 Using this idea of ‘having’ courage is something I’m mulling over in my head. Courage will never be something you wish you didn’t have. You can have courage, or comfort, but you cannot have both. I think about how hard many of us work to be comfortable. To me, being comfortable always meant not worrying about paying bills or letting money be a source of anxiety. Being in a place where I’m comfortable, I see myself longing for more; surely there is more good to be done, more adventures to be had. Finding courage in our comfortable places is how we grow. It’s something we must work for. If courage was something that came naturally, we wouldn’t need to choose to do it. 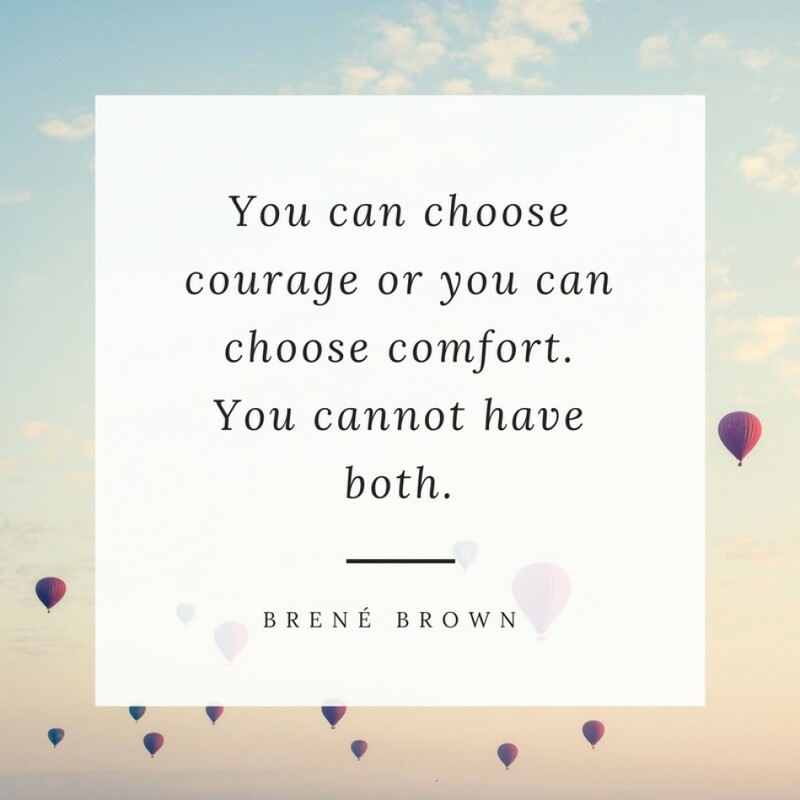 We should all be choosing courage! As I continue this week, mulling over how to find courage in the comfort, I’m curious to see what can happen. How can I be courageous at school? How can I push my friendships by being courageous? How can I influence my students? 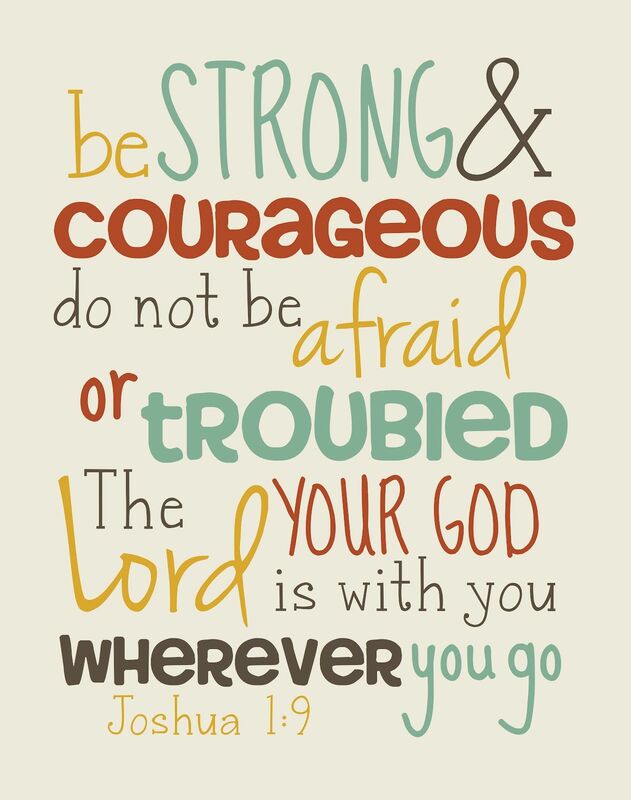 How will you be courageous? 2019, it’s time for a change. It’s time for courage. I love when the universe collides. You know how someone mentions one thing to you and then all of a sudden you’re seeing it everywhere? Or when you’ve been reading about a topic and all of a sudden it pops up in something totally unrelated? That’s some real life magic right there. This month I got a Yoga with Adriene email newsletter. Adriene Mishler- the creator and teacher on Yoga with Adriene– always has an uplifting point of view. I love that she is just so real and QUIRKY. She is just so fun. I’m currently doing one of her yoga challenges you can find here. I followed a link to a blog post about a little something called Ahimsa. This was a topic I studied in yoga training and have always enjoyed. Ahimsa, by definition, is the principle of nonviolence toward all living things. It is a building block of yoga and one of the first yamas. Anyway, the idea of nonviolence is crucial to our happiness and to finding truth in our lives. Violence does not necessarily mean fighting or physical violence. We show violence to ourselves in many ways, and always to our detriment. Not forgiving a friend produces resentment. Eating unhealthy foods in excess isn’t treating our body like a temple. Being angry while driving sets your day off on the wrong foot. Not taking time to rest, doubting ourselves, saying harsh things about your appearance or abilities…all these things are so common and are examples of violence. Ahimsa is the practice of nonviolence. It’s taking the time to realize what things you need to be more kind about. For me, it has been battling negative thoughts about my relationship with friends and coworkers, or even my relationship with myself. I could sit and wallow in that for days. My act of Ahimsa has been journaling and making distinct efforts to understand my friend’s ‘Love Languages.’ I’m also being kind to myself when I start identifying more with my faults than my strengths. We all have both of those things, it’s what we do with them that matters. Perhaps yours is negative self talk. Today your Ahimsa could be listing out the negative feelings that constantly bombard your brain and counteract it with some TRUTH. Next to the negative things write down a truth that counteracts each of those thoughts. You can even write down solutions to those struggles. How can you start practicing Ahimsa? Start taking time for yourself. Show love to that odd coworker instead of talking about them in the lounge. Take time for a yoga practice or regular walks. Give yourself 5 extra minutes in the morning to enjoy a cup of coffee. Allow time in your schedule for changes. Stop and think of that thing, person or activity that reallllly pushes your buttons. Don’t let that anger or self-talk take over your day. How can you practice non-violence, or love, towards these situations? If you don’t like something then change it. So I’ve had Ahimsa on my mind. Then that thing happened where you start seeing other connections. 5 May the God of endurance and encouragement grant you to live in such harmony with one another, in accord with Christ Jesus, 6 that together you may with one voice glorify the God and Father of our Lord Jesus Christ. 7 Therefore welcome one another as Christ has welcomed you, for the glory of God. These messages began to fall so perfectly together for me. The idea of being filled up with joy and peace leaves our spirits to abound in hope. When you are filled up with joy, peace, hope and truth there isn’t room for violent thoughts. When we are filled up we are then called to do the same to others. We are to encourage and lift up those around us. It is our duty to build them up in the same way The Word has built us up. Today I hope you take time to work on nonviolence. To allow scripture and words and love fill you up. When we are feeling fulfilled we can better combat those violent lies that creep in. You have to actually invest time and effort to see progress, so why not start now? It’ll only result in a happier self. You’re worth it. Perhaps your first act of nonviolence will be taking this time and making changes for yourself.